Everyone in the field at Kenwood’s Best of the Nest Duals looked at Sussex Tech as the team to beat given their returning champion status. The Ravens followed suit this weekend and ran the table with a perfect 9-0 record. Tech downed the Friars of Archbishop Curley, 55-18, in the championship bout. The Ravens drubbed host Kenwood, 55-18, in the semifinals. Across the bracket, Curley took out Manchester Valley, 39-37, in the semis. Strangely enough, in the pool rounds, Curley hung with Sussex Tech a lot more closely than the finals, only losing that match 42-30. The Friars only had one grapler go undefeated, Ryan Becker (132, 9-0). Bradley Lintz (106) finished 8-1 and Kennell Washington (126) was 6-1. Manchester Valley had its way with Kenwood in the consolation final, rolling up a 63-18 victory. Dulaney dropped Chopticon, 51-26, to capture fifth place. Poly’s Mervyn Crawford (left) was named Most Outstanding Heavyweight Wrestlers and Kenwood’s Daylan Duncan as the Lightweight Most Outstanding Wrestler were named the Most Outstanding Wrestlers at the Best of the Nest at Kenwood. Manchester Valley had four wrestlers finish the tournament untarnished, all posting 9-0 records, Heathe Hernandez (120), Chad Schaffer (132), Thomas Chenoweth (152) and Grant Warner (170/182). Wrestlers suffering just one loss for the Mavericks were Hunter Green (132, 8-1), Adam Mattson (160, 8-1) and Nate Renfro (220, 7-1). 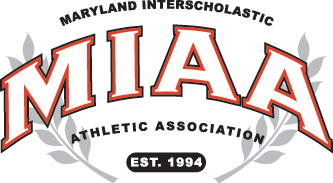 The Bluejays’ Daylan Duncan (145) and Poly’s Mervyn Crawford (195, ranked 6th at 220 in the latest Maryland state rankings) were chosen as the Outstanding Lower and Upper-weights. It was Crawford’s second consecutive OW award at Kenwood. Chopticon was awarded the “Gordon Nigran” Sportsmanship trophy. The tournament featured the return of Walter Johnson’s Jacob Bernstein. The senior, who was a 4A/3A state runner-up last season, had been out with an injury and his return this season was in question. The Wildcat was 6-0 and didn’t wrestle in every match.